spicy enough for the elders. When it is cooled, take all the ingredients in a blender/ mixer along with garlic. Notes: If you want the chutney a bit more sour, you can add a small piece of tamarind. Rajma n Baby Aloo Masala! Simple and super tasty chutney.. Simple tasty and easy to make chutney..
A deliciously tangy chutney indeed. 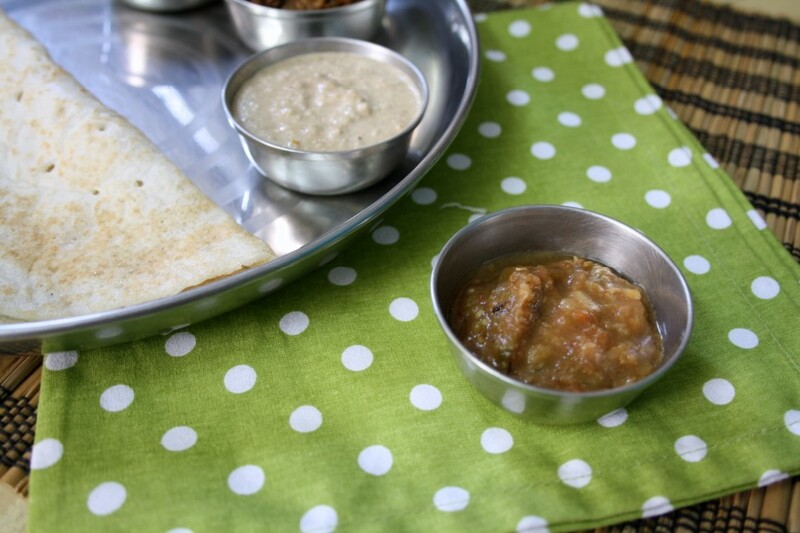 Love this chutney with crispy dosas. 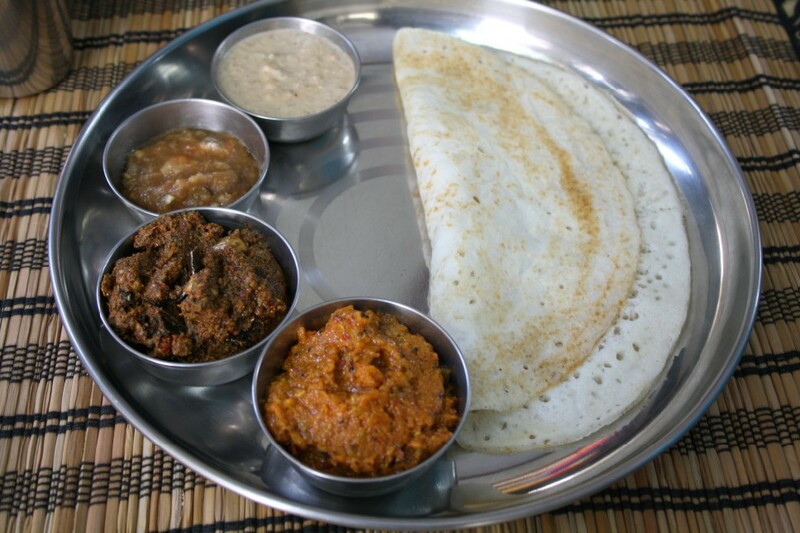 So many accompaniments for the dosa! Almost like eating at a restaurant! Revisiting older posts: Vegetarian Burger Indian Style!